Build skills as you knit 12 fun-to-make squares. The designers are moms (or grandmoms) and the colors are bright for this perfect kid's-sized piece! You could decide to knit your afghan by repeating several of your favorite squares, or even by making it with just one or two squares. Refer to Knitter's School illustrations to assist you in learning new techniques. 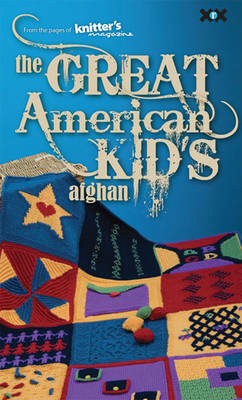 All the information you'll need to knit The Great American Kids Afghan are in this convenient booklet. The knitting is in the easy to intermediate range with clearly illustrated techniques for cables, entrelac, Fair Isle, Intarsia and more.